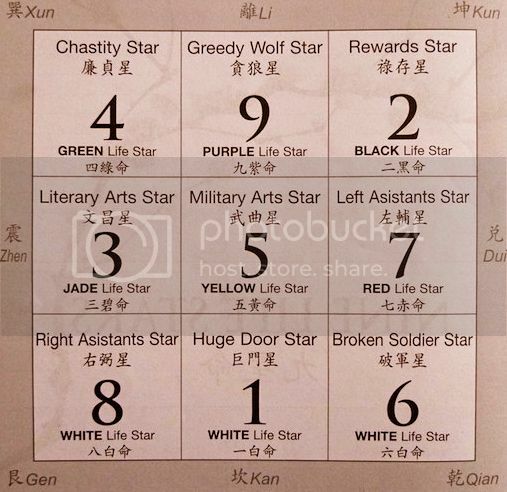 During Joey Yap's Feng Shui & Astrology Seminar in KL last January, he introduced us to the Xuan Kong Nine Life Star. Each person belongs to one of the nine Life Stars. Do you know what your Life Star number is ? If not, get it HERE. Now let's see what is in store for each Life Star number in the year 2012. If your Life Star is 7, the Year of the Dragon will be a fantastic year for you! The wealth star will come into your chart, bringing with it some dumb money. No clue what is dumb money? Well, Joey Yap explained that there are 2 ways we make money. One is smart money, which is the money we make when we know exactly what we did to earn that money. The other is dumb money, which is the money we make without a clue as to how we earn it. Some people get rich via dumb money - they blindly invest in something and make lots of money! These are really lucky people with possibly a really good Bazi Chart. Others get rich via smart money - they have the knowledge and skill and a good strategy to make themselves a fortune! 90 percent of the world's tycoons are in this category. So if your Life Star is 7, you might get richer this year without knowing how in the world you did it! You will simply attribute it to good luck! Is that great or what? LOL! 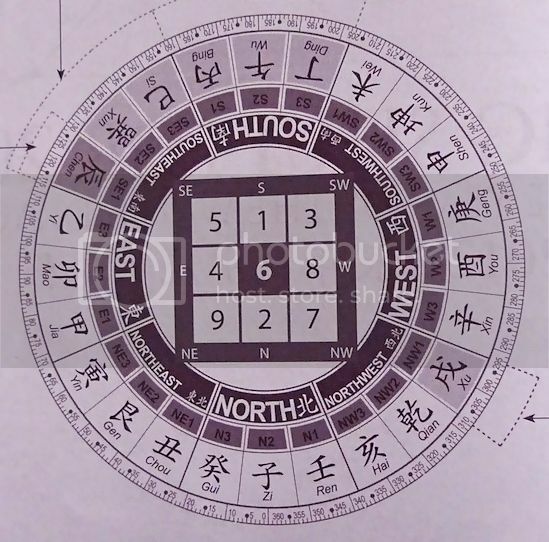 By the way, even if you do not belong to Life Star 7, but if you have Water, Fire or Wood in your Personal Bazi Chart, you have some dumb money too! (No Personal Bazi Chart? Download yours HERE). Now if your Life Star is not a 7, but your spouse is, then you will still get lots of opportunities to gain wealth! So do check your spouse's Life Star number! If your business partner has the Life Star number 7, then it's better that he or she makes the business decision, not you! If your Life Star is 8, the right assistant will enter your chart this year. This will make you look better but you have to be out to be seen. If in addition you also have a Rooster in your Bazi Chart, then make sure you improve on your appearance as your attractiveness will be much higher and as such, you will be more successful in jobs like sales, marketing or PR. If your Life Star is 1, you will score in terms of money. It will be an excellent year for you to invest as the possibility of good returns are high. However, the downside is the possibility of getting sick is also high, so do take care of your health! If in addition to Life Star 1, you also have a Tiger or Dog in your Bazi Chart, you are likely to be down with health problems. Do go for a medical check-up for preventive measure. If the Tiger or Dog is at your Year or Month pillars, you may suffer from external health problem. If they are at your Day or Hour pillars, you are more likely to suffer from internal health problem. For those whose Life Star is 9, a 'greedy wolf' star will be entering your chart this year. 'Greedy wolf' sounds like a bad name but actually it's good! It gives you good name, good reputation and recognition. And also a good chance to find a partner this year! If your Life Star is 2, then you are in the same group as Bill Gates! Yes, he is a Life Star 2, and people in this category tends to be natural entrepreneurs. This year will be good for you in terms of sales and physical related activities. If there's a Rabbit or Pig in your Bazi Chart, it will be even better for you! If your Life Star is 5, this year will hold many opportunities for you especially if you have Rat or Pig in your Bazi Chart. One of the basic qualities of a person with Life Star 5 is the ability to lead and influence others. And if you want to know, the late Steve Jobs belongs to Life Star 5. 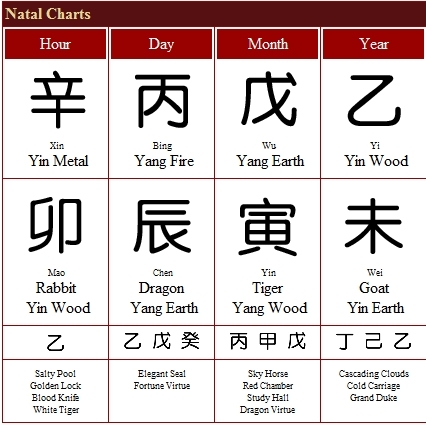 People who are in the Life Star number 3 category will be extra intelligent this year especially if they also have a Dragon or Tiger in their Bazi Chart. Perhaps a good year to pass those exams with flying colours? If your Life Star is 6, you may experience a breakthrough in your life this year. Perhaps a good year not to give up or quit too soon? The most unfortunate are those with Life Star number 4. It's not a good year to expand business, get married or do any major activities! You will need to look inwards and fix current conditions instead of doing new things. In addition, if you also have a Dog in your Bazi Chart, then it's even worse! Not a good year to save money but instead of spending on worthless things, you can always invest your money! As I mentioned in Part 2, if the year 2012 is not so good for you whether it's because you belong to the a not so favorable Life Star number or because you do not have a good Bazi Chart (please read Part 2 to know what this means), DO NOT WORRY. Joey Yap had provided us a solution that is, activate the good sectors in our home at the right date and time! By activating the good sectors, good things will come to you and possibly help to reduce the not-so-good things that you might experience this year. Activating a sector is like doing acupuncture. 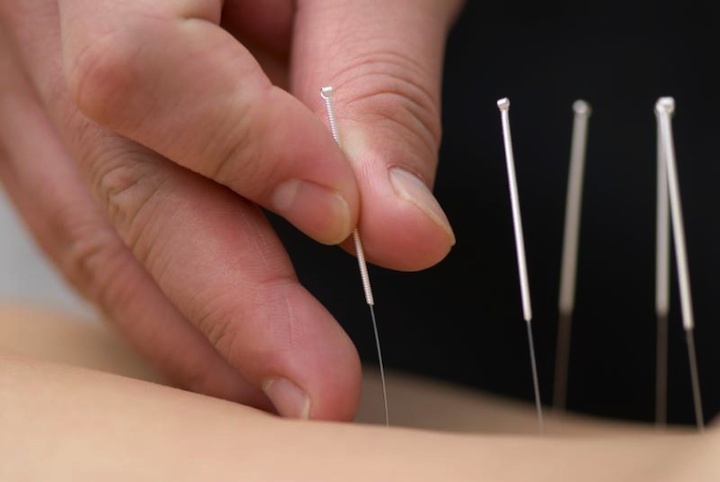 In acupuncture, the needles are placed at strategic points in the body to open up blocked meridian spots and allow the qi to flow. Similarly, when we activate a sector, we 'unblock' the area and cause the qi to flow. According to Joey Yap, you do not need to place any feng shui objects to activate the sectors. (This is opposed to what Lillian Too teaches and practices - I won't go into a debate on who is right or wrong, I respect both!) Anyway, all you need to do is to use the areas more. That's it! By using the sector everyday you will activate the energy in that area! Joey Yap has however provided us a set of dates and times that we need to activate certain things like wealth, relationship, academic success and even attracting noble people into our lives! To activate these sectors, you only need to either move the furniture around or create lots of noise or play loud music in those sectors. *Note: You can activate on just one or all 3 dates provided! The animals in the brackets are for those animals found in your Bazi Chart, NOT just the animal sign you belong to. So for example, on the 6th Feb 2012, if you have a Rabbit anywhere in your Bazi Chart, activating the East sector will not be beneficial to you, although it won't be harmful either. You will thus, need to choose the second or third date. *Note: 'Target' here means your potential partner. To activate, you need to face West and your intended target to face East. Use a compass! And check his or her Bazi Chart beforehand! *Note: These are dates and time to resolve weight problem or issues with friends. If your aim is to lose weight, you need to make sure you have the animal mentioned in the bracket above in your Bazi Chart. But if your aim is OTHER THAN losing weight, then you must make sure you DO NOT have the animal in your Bazi Chart. For example, if you wish to lose weight then it is best to start on the 9th May 2012 at 3.30pm and it is better if you have Rat in your Bazi Chart. However, if you plan to resolve issues with friends on the 9th May 2012, then you MUST NOT have the Rat in your Bazi Chart. By the way, I am sorry I did not quite get what the animal is for the first date 26th April 2012. (I left a ? sign there). Anyone who attended Joey's seminar reading this? Please let me know if you know, thank you! *Note: The first date 9th Apr 2012 is a wish fulfilling day. Joey jokingly termed it as a day where you can have "broadband access" to God. The second date 2nd Jun 2012 is a day where you let go of your past. So both dates are most suitable time to do your prayers and meditation. *Note: Academic success does not apply to just students but also working adults. You need to study or learn to improve your value to your employer or business! So working adults can also activate these sectors. OK, so we are done with the good dates. Now for the bad dates - these are dates you must avoid doing anything important! 1. Total Eclipse Of The Sun - 13th Nov 2012. Joey Yap warned that EVERY MINUTE exposed to this eclipse will result in ONE YEAR of bad luck! This eclipse will last about 4 minutes! The full eclipse will occur in Australia, whereas it's only a partial eclipse in Malaysia. All forms of astrology agree that eclipse is bad, not just Chinese astrology. As such, this warning is not to be taken lightly. Whether you believe or not, it's better to take precaution. Joey Yap advised to stay home during the entire duration of the eclipse. Watching the eclipse on TV will not have the same bad effect however. Not a good day for important activities e.g. starting a new business, getting married, buying house etc. A day with bad returns, especially worse for Roosters. Do not do any important activities during these hours on this day. Not too bad as during these hours, most people won't be doing any important activities. However, if you are launching some important night-time events, make sure you do not do it at this day and time! This is the final installment of my posts on Joey Yap's Feng Shui & Astrology Seminar 2012. I sincerely hope you have benefitted from reading it! Have a great Year of the Water Dragon!